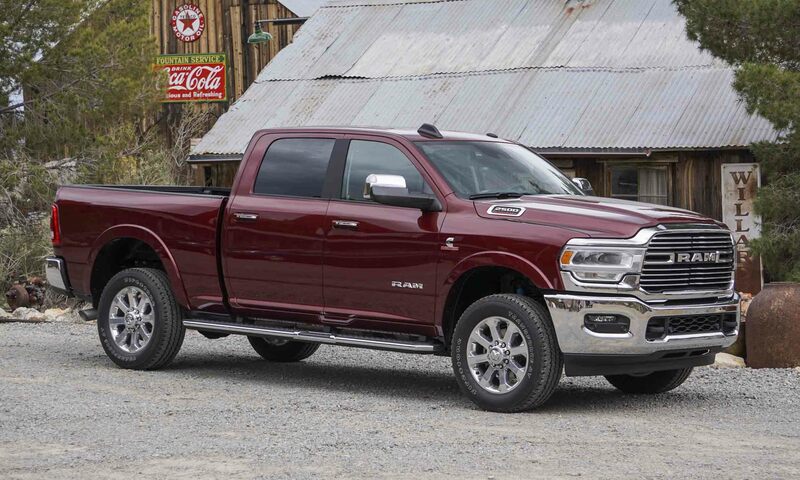 The 2019 Ram Heavy Duty models are the most powerful and most capable Ram trucks ever offered, touting more available power, higher capability ratings and new technologies including an available 12-inch touchscreen display that debuted last year in the Ram 1500. The Heavy Duty trucks also offer new levels of luxurious interior refinement, as well as a quieter cabin and smoother ride. The biggest news of all for towing fans is the all-new 6.7-liter Cummins High Output Turbo Diesel engine rated at 1000 lb-ft of torque, which posts the highest capability numbers for Ram. 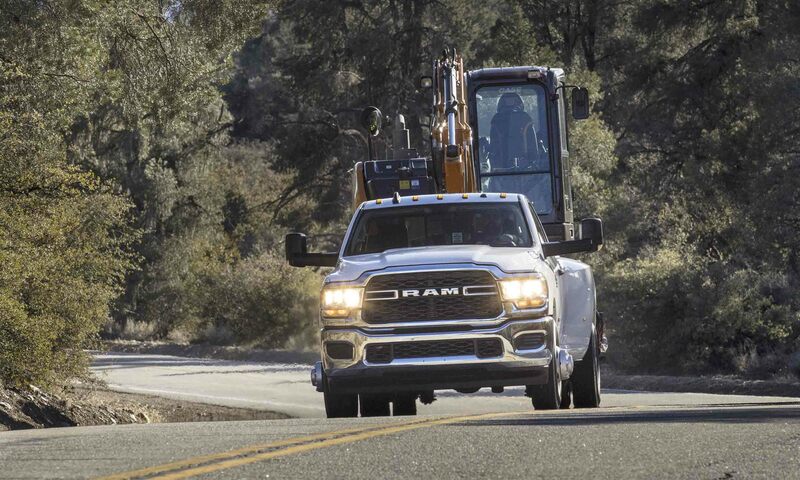 When properly equipped, Ram Heavy Duty is rated at 35,100 pounds for towing and at 7,680 pounds for payload. 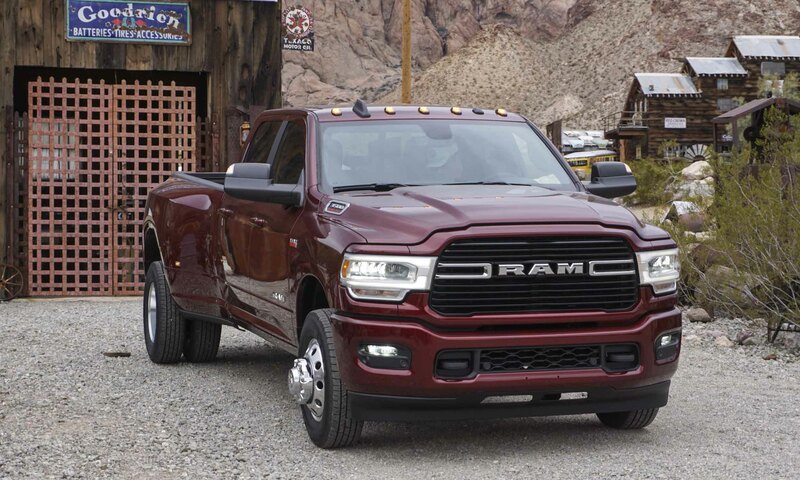 Ram Heavy Duty is offered in dozens of configurations to fit a wide variety of towing, cargo and passenger needs. Both Ram 2500 and Ram 3500 are offered in Regular Cab, Crew Cab and Mega Cab versions with both 2-wheel drive and 4-wheel drive available. 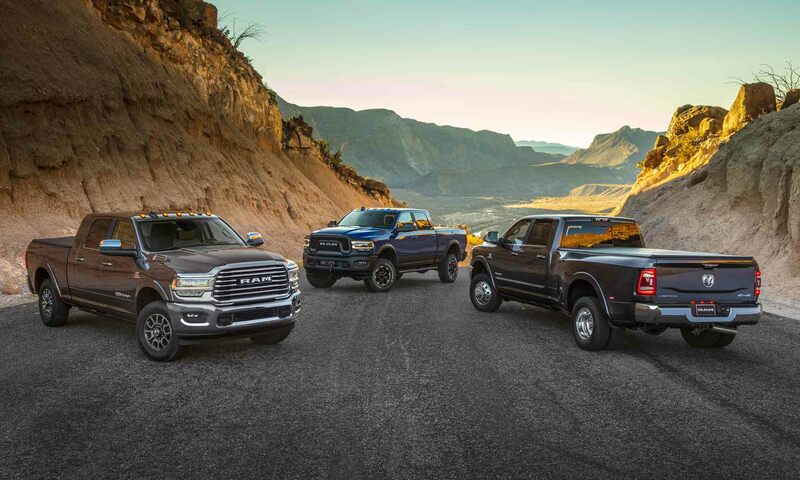 Starting with the work-truck Tradesman trim level, Ram 2500 and 3500 are also offered as Big Horn / Lone Star, Laramie, Laramie Longhorn and Limited. The off-road-focused Ram Power Wagon is exclusive to the Ram 2500. Starting price for the Ram 2500 Tradesman Regular Cab 4×2 is $33,395, plus a $1,695 destination fee. At the top of the range is the Ram 3500 Limited Mega Cab 4×4 at $67,050 plus destination. 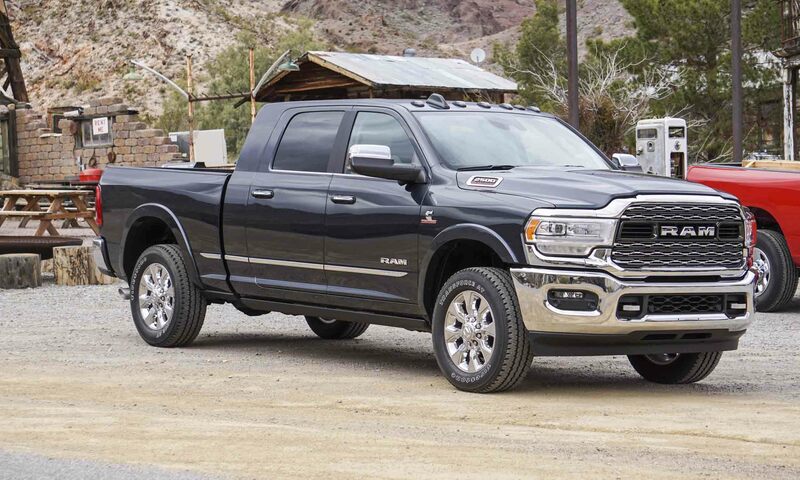 The Ram Tradesman and Big Horn / Lone Star come standard as a Regular Cab with an 8-foot box. 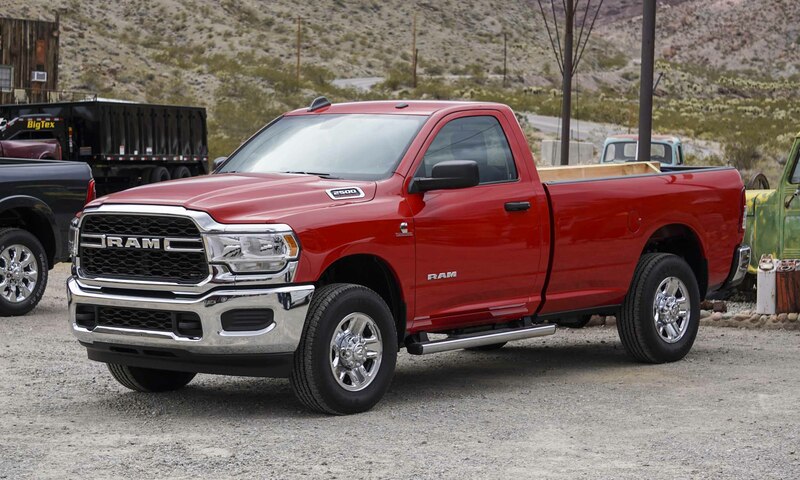 Both trim levels are also offered as a Crew Cab with either a 6-foot 4-inch box or an 8-foot box, and Big Horn / Lone Star is also available as a Mega Cab with 6-foot 4-inch box. Laramie, Laramie Longhorn and Limited are all standard as a Crew Cab with 6-foot 4-inch box, and the 8-foot box is offered as an option as well as the Mega Cab with a 6-foot 4-inch box. 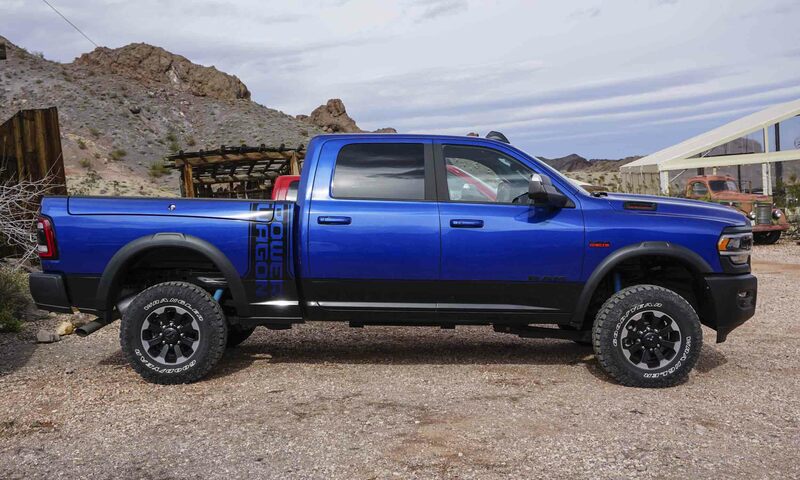 Ram Power Wagon is configured exclusively as a Crew Cab with 6-foot 4-inch box. 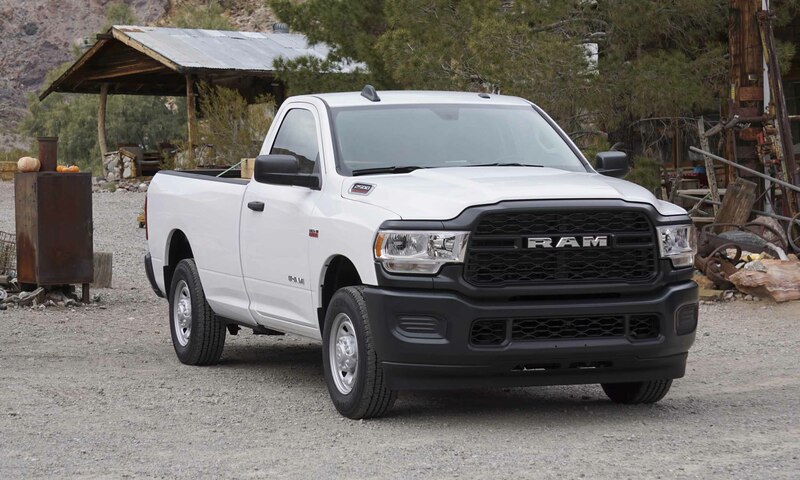 The base-level Ram Tradesman features standard black accents, optional chrome accents, a black mesh grille, halogen headlights and 17-inch steel wheels with optional 18-inch chrome wheels. Inside, Tradesman offers standard Black/Diesel Grey heavy-duty vinyl or cloth seats, construction yellow needles for the gauges, a 3.5-inch screen in the gauge cluster, Uconnect 5.0 with AM/FM Bluetooth radio, and a ParkView rear backup camera with dynamic grid lines, center lines and zoom. The RAM HD Big Horn — also sold in Texas as the Ram Lone Star — adds additional standard and optional equipment including chrome bumpers, a chrome grille surround, halogen headlights with optional LED lighting, an electronic on-demand transfer case when equipped with 4-wheel drive, and an integrated trailer brake controller. The available Night Appearance Package includes black 20-inch wheels, Firestone TransForce AT On/Off-Road tires, a black grille and black badges. The available Sport Appearance package includes monotone paint, a body-color lower applique and ParkSense front and rear park assist. Ram Laramie offers a chrome billet grille, chrome mirrors, chrome door-handle accents, standard LED lighting, fog lights, body-color wheel flares, standard 18-inch aluminum wheels, optional 20-inch wheels and available power side steps. 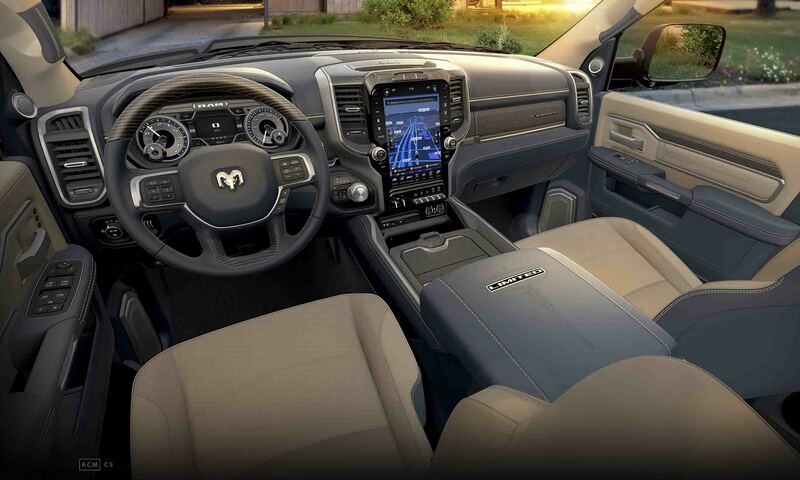 Inside, the Laramie has a more luxurious experience with leather seats; heated and vented front seats; heated rear seats; and Medium Greystone stitching for the upper dash, center armrest and door panels. Interior color choices are Mountain Brown / Light Frost Beige or all-black with suede inserts. Laramie trims offer the fourth-generation Uconnect system with a 12-inch fully-configurable touchscreen. The Laramie Longhorn features a chrome-slat grille, premium LED lights with Adaptive Front-lighting System, chrome bumpers, chrome tow hooks, side steps, wheel flares and large belt-buckle Laramie Longhorn badges. Two-tone color options include Walnut Brown bumpers, flares and lower panels. New 20-inch wheels are offered in a variety of finishes. Inside, the Laramie Longhorn features a Southwestern theme with hand-wrapped, full-grain leather covering the dashboard, door panels and armrests. The Laramie Longhorn interior also features a new alligator skin-embossed surface covering the center console, instrument panel, seats and door-panel inserts. Interior trim includes satin warm-chrome accents, a brushed nickel badge in the console lid, real barn-wood trim and wood doors on the center console. An authentic touch is the Longhorn logo burned into the wood on the upper glovebox as if it were branded. Heated full-leather rear seats are standard. Interior color choices are Mountain Brown / Light Mountain Brown and Black / Cattle Tan with contrasting piping. At the top of the Ram HD lineup, the Limited features a corrugated mesh grille with chrome RAM badge and dark chrome accents; chrome bumpers, tow hooks, body-side molding, mirrors and door handle accents; 20-inch wheels with chrome inserts; automatic power side steps; and body-color fender flares. 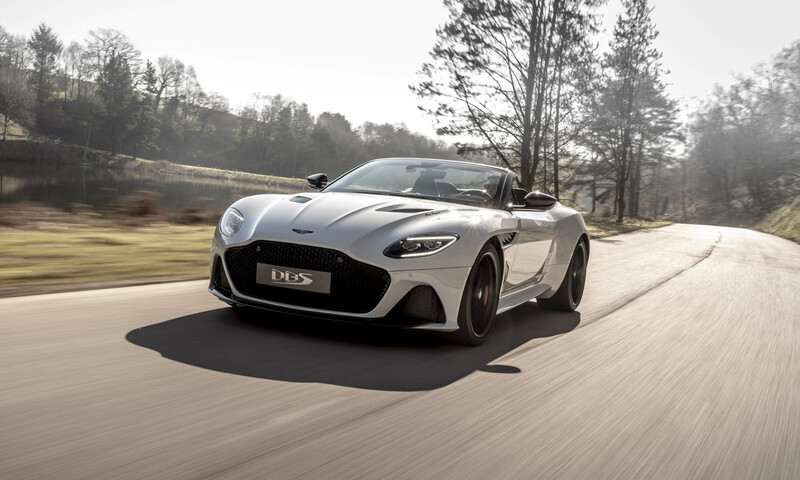 Inside, the Limited features a high level of luxury appointments including a full-grain leather hand-wrapped dashboard, door panels and armrests. The top-line Limited interior also has real aluminum and wood accents and a metal inlaid Limited badge in the wood upper glovebox door. 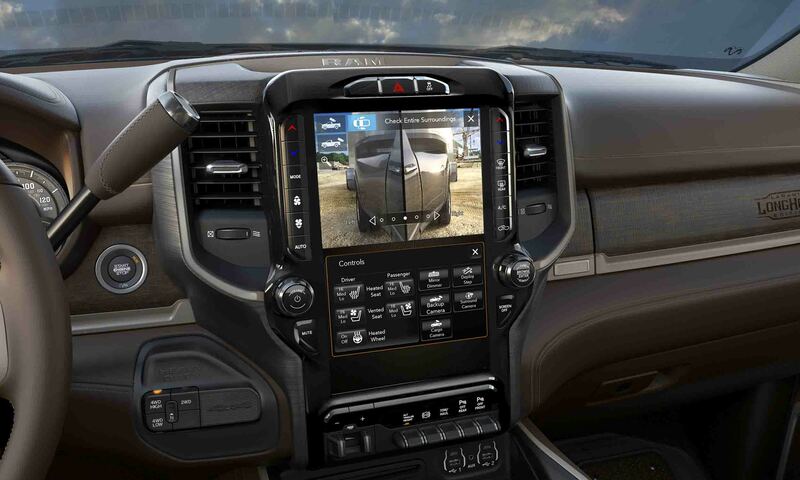 The Uconnect 4C system with a 12-inch touchscreen is standard, and the cabin features adjustable ambient lighting for atmosphere. Ram Limited interior colors include Indigo / Light Frost Beige or all-black leather with heated and vented front seats and heated rear seats. The new Ram Power Wagon, based on the Ram 2500, gets special equipment to create a highly capable off-road truck. Power Wagon features include Articulink suspension; locking front and rear differentials; Bilstein shocks; a disconnecting sway bar; hill descent control; skidplates; black wheel flares; fog lights; bright chrome front and rear bumpers, 17-inch cast aluminum wheels and Goodyear Wrangler Duratrac All-Terrain tires. Power Wagons also include an integrated front-mounted WARN Zeon-12 winch with a new synthetic line that does not kink or fray and weighs 28 pounds less than a traditional steel cable. Inside, the Power Wagon receives a unique Black / Diesel Grey treatment with a high-durability vinyl/cloth that has Goodyear Wrangler DuraTrac tread-embossed inserts. Black leather seats are optional. 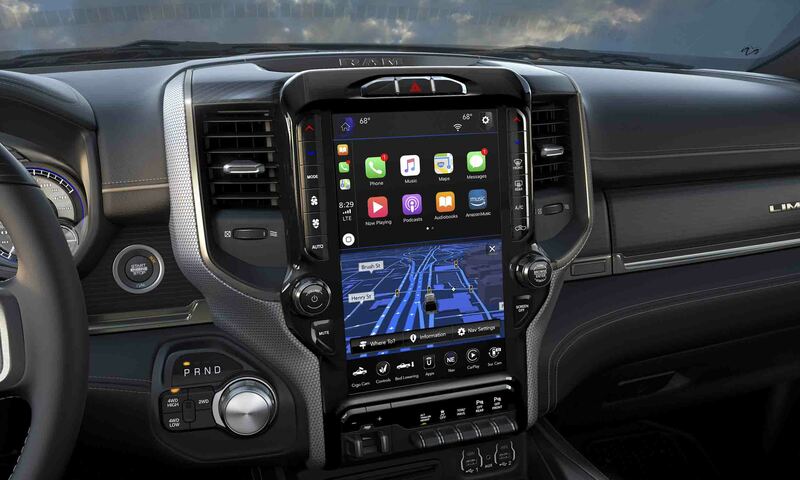 Graphics on the standard 8.4-inch touchscreen have a smoked appearance to match the Power Wagon theme, and the 7-inch Thin-Film Transistor cluster is divided into separate digital gauges. 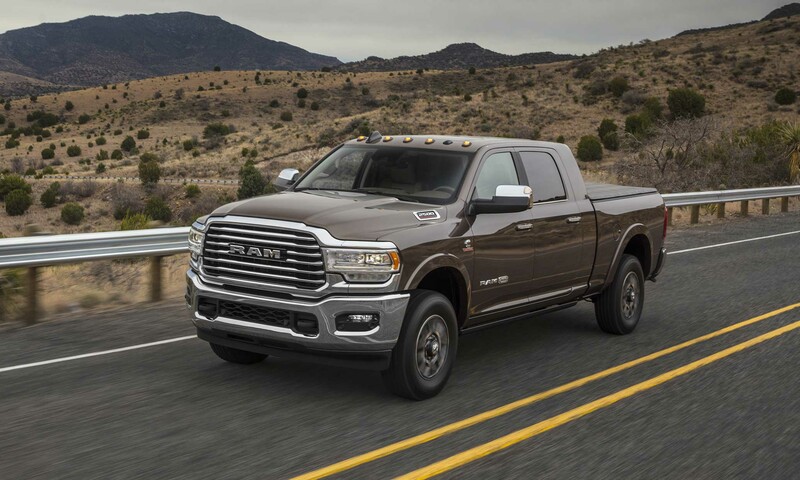 The standard engine for all Ram HD trim levels is the 6.4-liter HEMI V8 that produces 410 horsepower and 429 lb-ft of torque, mated with a new 8-speed TorqueFlite automatic transmission. The 6.4-liter HEMI features cylinder deactivation for improved fuel economy, which bypasses four cylinders during light acceleration and cruising. 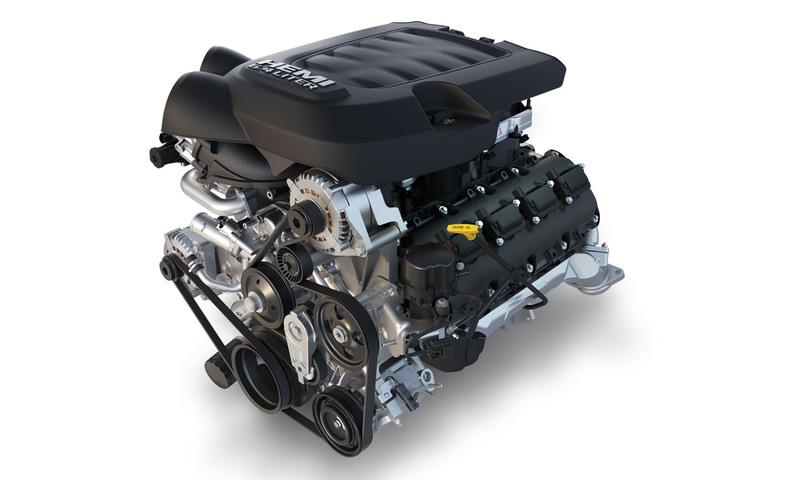 The new 6.7-liter inline 6-cylinder Cummins Turbo Diesel engine is now offered in two versions. 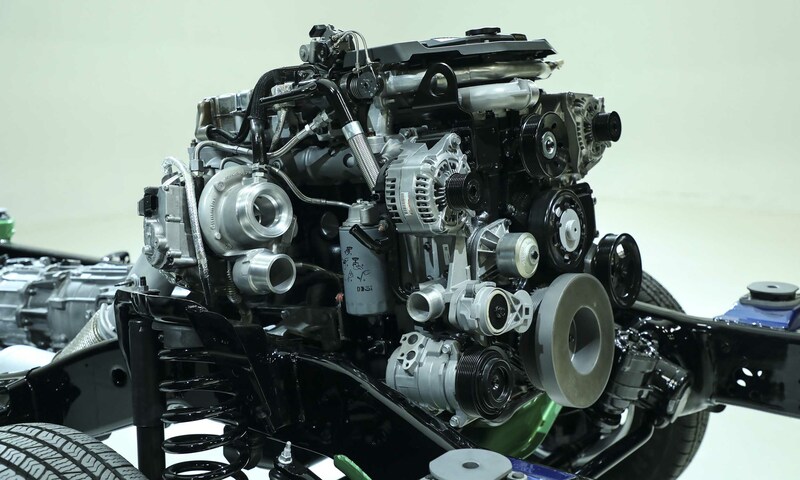 This new diesel engine weighs more than 60 pounds less than the previous version; the standard output version produces 370 horsepower at 2800 rpm and 850 lb-ft of torque at 1700 rpm, combined with an upgraded 6-speed automatic transmission. The new high-output Cummins Turbo Diesel delivers 400 horsepower at 2800 rpm and 1000 lb-ft of torque at 1800 rpm, combined with an electronically-controlled Aisin 6-speed automatic transmission to handle all that torque. The additional cost for the 6.7-liter Cummins Turbo Diesel is $9,100, and the Cummins high-output is $11,795. 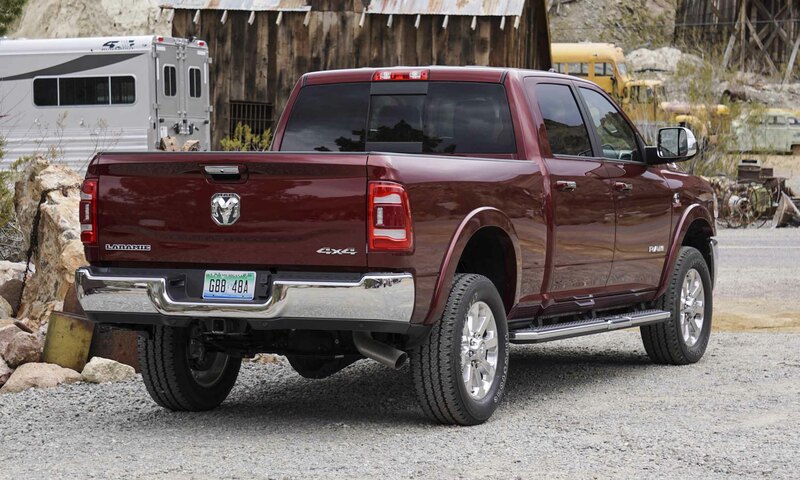 The bold exterior design of the new RAM HD is really a case of form following function. 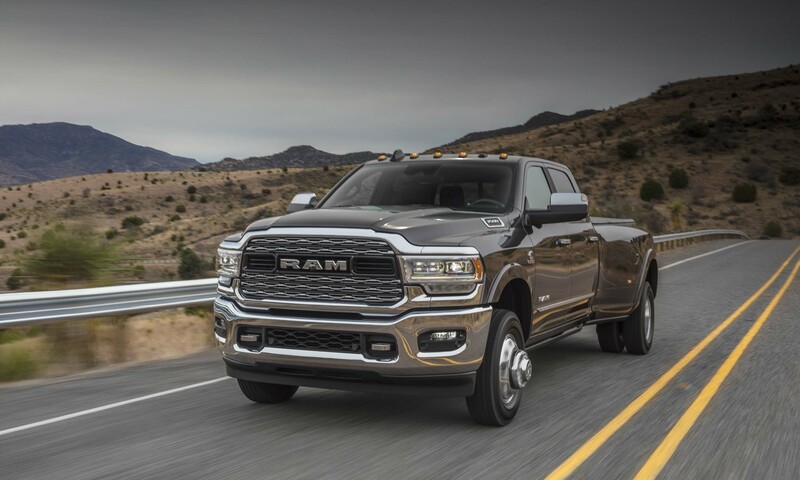 Ram engineers needed a 30 percent increase in the grille size for increased airflow, so the new truck has the largest grille ever offered at 39 inches wide, as well as the largest turbo intercooler ever offered. Three new headlight designs include halogen, full LED / reflector and full LED / projector with an adaptive headlight system with up to 15 degrees of directional adjustment based on steering input. The overall exterior design is more aerodynamic, and the raised aluminum hood incorporates a three-dimensional logo on each side that identifies 2500/3500 Heavy Duty. 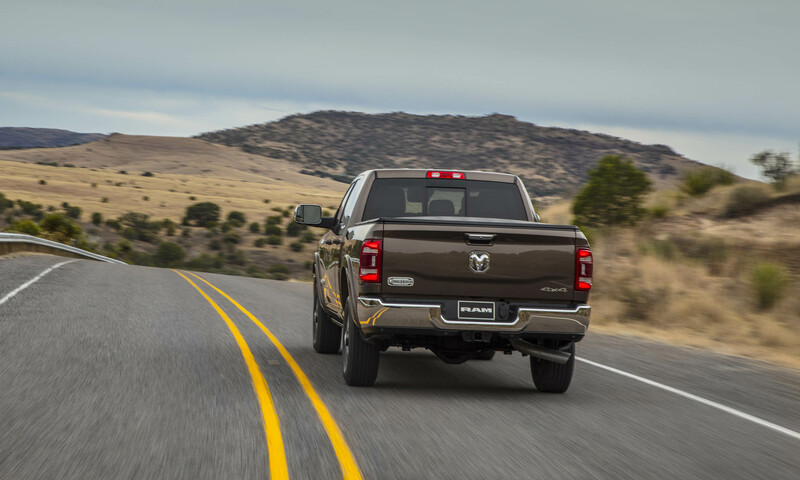 At the rear, a new spoiler on the Ram Heavy Duty’s lighter aluminum tailgate improves aerodynamics, and three new taillight designs depending on trim level include halogen, LED and LED with blind-spot monitoring. Ram Heavy Duty continues to offer RamBox storage with weatherproof, lockable, illuminated and drainable storage bins built into the bed rails. The new Ram HD interior follows the same design as the recently launched Ram 1500, offering a range of choices virtually identical to the 1500 with high levels of available luxury and technology. The instrument panel design consolidates interconnecting components with central components up and toward the driver. The available Uconnect 4C 12-inch touchscreen can display a single application or split to show two apps at once. Soft buttons across the bottom can be assigned to apps chosen by the driver. The new interior design features a new upper glove box and lockable lower glove box to the right of the center stack. The redesigned center console includes up to 12 storage combinations with a 3-position sliding cupholder that can be stored under the center armrest to reveal a large storage area that will hold a 15-inch laptop. 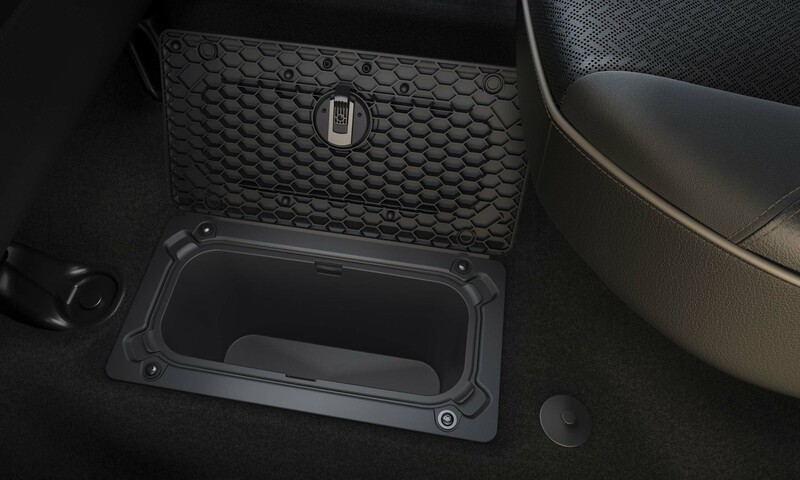 Crew Cab variants include covered Ram Bins (in-floor storage bins); Mega Cabs offer two storage bins behind the rear seats. The only way to achieve high towing and payload ratings is with heavy-duty suspensions and components, which can lead to a rough, noisy ride when a truck is unladen. To improve both the ride and quietness in all conditions, Ram engineers started with a new 98.5 percent high-strength steel frame for improved torsional rigidity, and then added new suspension tuning that includes Frequency Response Damping shocks, progressive springs and re-engineered bushings. 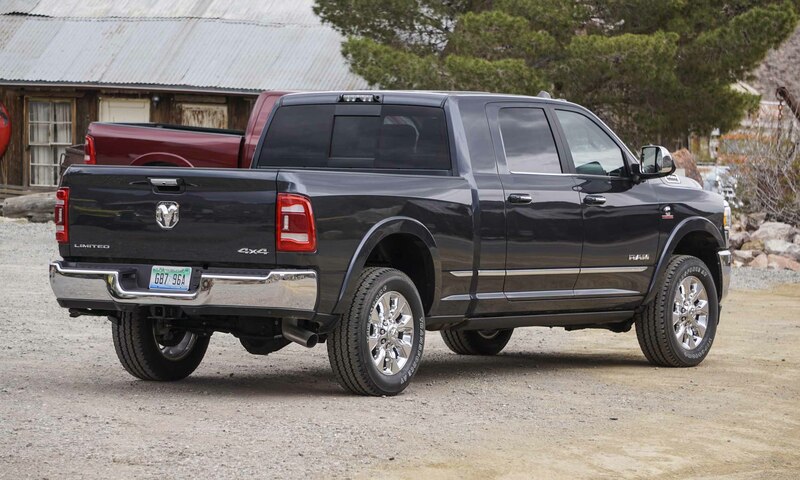 Ram’s rear air suspension now includes a driver-activated Bed-lowering Mode, Normal/Payload Mode and Trailer-Tow Mode. Braking upgrades include new calipers, booster and master cylinder for improved brake feel. To improve cabin quietness, Ram HD offers an acoustic glass, active noise cancellation and anti-vibration devices. A new 360-degree surround-view camera with trailer reverse guidance view provides a single screen display of both sides of a trailer, and new auxiliary exterior camera improves visibility into and behind trailers. 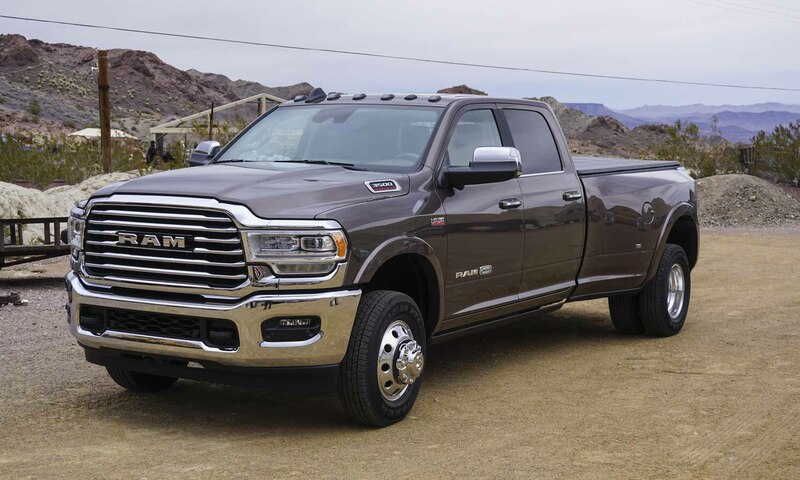 The RAM 2500 Laramie Longhorn with the new 6.7-liter Cummins turbo diesel engine provides such a wave of abundant power at low rpm that it feels only necessary to use a small fraction of the available power to swiftly pull away from a stop or merge into traffic. There is so much power on tap it only takes a few seconds on the throttle to get to the speed desired. 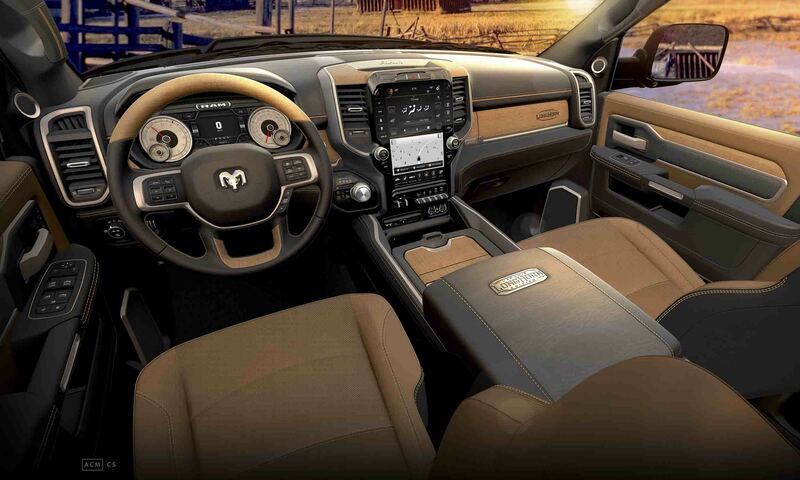 The Laramie Longhorn with acoustic glass and active noise cancelling is really quiet on the road. Although the ride does still feel stiff, it is whisper smooth yet possesses the amazing towing and payload capability previously stated. The Laramie Longhorn interior is nicely appointed, with a Southwest feel; the branded Longhorn logo on the wood glovebox lid is a nice touch. The Uconnect 4C 12-inch touchscreen works well, and the split-screen option makes it versatile. The hard buttons for temperature and knobs for volume and radio tuning are positioned well and much appreciated. Configurable soft buttons at the bottom of the screen are also a nice addition. 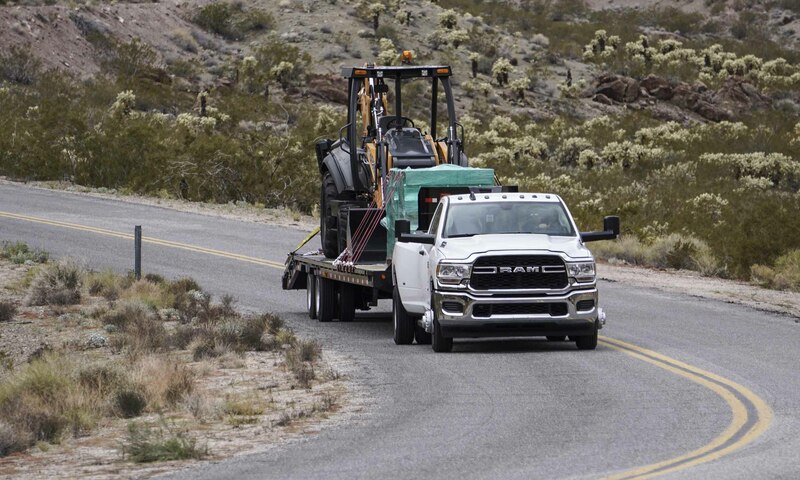 During our press drive, towing 35,100 pounds with the Ram 3500 Tradesman Regular Cab 4X2 with the Cummins High Output was an impressive experience, handling both downhill and uphill grades with no drama despite the maximum towing weight of the trailer. The driver can turn on the engine brake for compression braking on downhill runs. The automatic engine brake function will act like a downhill cruise control, operating the engine brake as needed to maintain consistent speed if the driver lets off the throttle. The drive can adjust the selected speed by accelerating and releasing the throttle at the desired speed, or braking down to the speed desired and the automatic engine brake will maintain that speed. 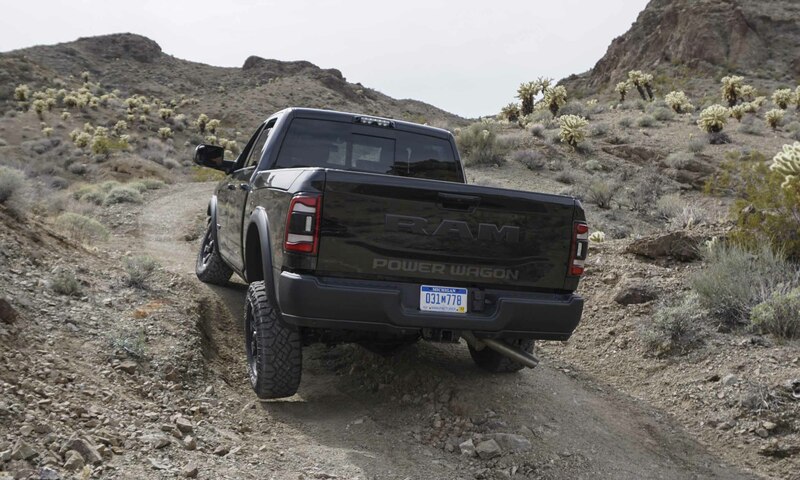 The Ram Power Wagon is a capable off-road truck in low range. With the front sway bar disconnected and both front and rear axle differentials locked, the Power Wagon can tackle extreme conditions. The sway-bar disconnect allows additional articulation to keep all four tires in contact with the ground in difficult conditions, and the locked diffs provide power to all four wheels at all times. The hill-descent control aids in tricky downhill sections by maintaining a set speed preselected by the driver. The 6.4-liter HEMI also delivers a great driving experience, with a different kind of abundant power. While the Cummins delivers massive low-end torque, the HEMI builds as the rpm spool up, and it practically begs the driver to keep the pedal down. The RAM HD is fun to drive with the HEMI but can’t match the towing capability of the Cummins options. The HEMI delivers plenty of power for off-roading in the Power Wagon, but it would be great to see a Cummins option for the Power Wagon. For those who need extreme levels of towing capability, the new Ram Heavy Duty delivers top towing and payload ratings with the new Cummins High Output engine. When it’s not laden or towing a heavy load, drivers will experience smoothness and quietude not expected in this level of capability. 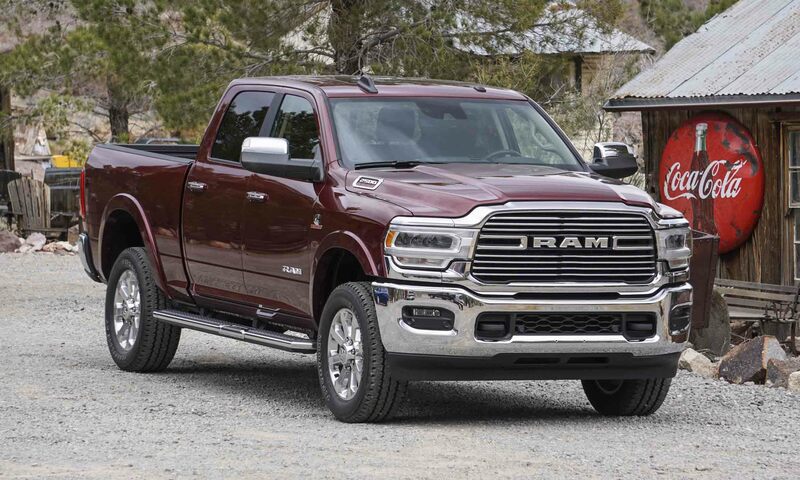 And if a new Ram is going to be your everyday ride, choose the Laramie Longhorn or Limited and enjoy luxury-car levels of materials, equipment and technology. Pros: Smooth, quiet ride; high towing capability; off-road prowess; available 1,000 lb-ft of torque. Cons: No Cummins option for Power Wagon. 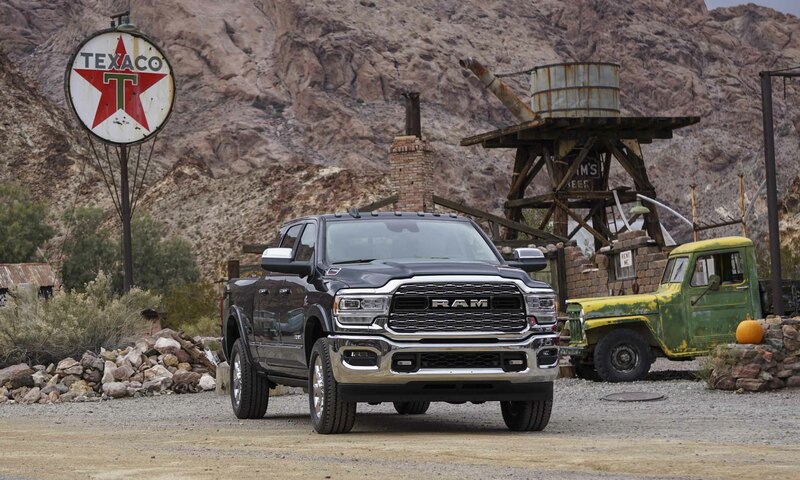 Bottom Line: With extreme capability, new technology and available luxury, the new Ram HD is a winner. 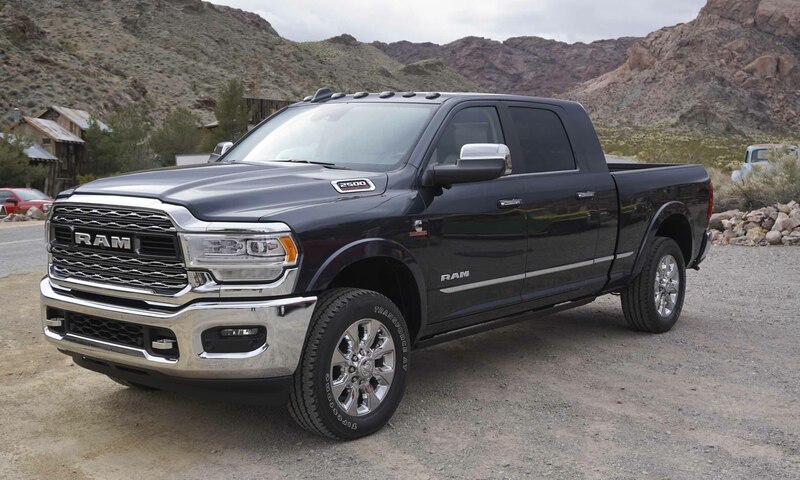 The post 2019 RAM Heavy Duty: First Drive Review appeared first on autoNXT.net.